A long playing healing chant to the Mother of Us All. Recorded in one of the world's oldest temples in a chamber created for sound. 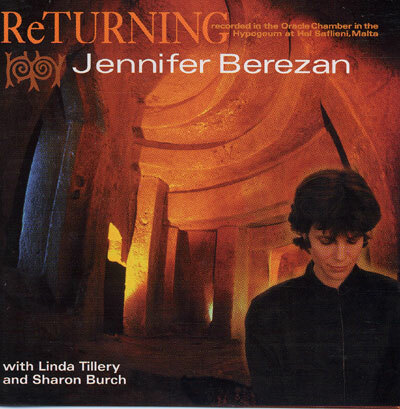 Jennifer Berezan, evoking the lineage of ancient singing priestesses, weaves together this rich musical tapestry. A unique and beautiful blend of some of the world's most sacred traditions. Timeless and contemporary.